Former cafe owner, entrepreneur and small business advocate Angela Vithoulkas is contesting the NSW Upper House in the state election. The vocal and multi-awarded businesswoman is taking on the Legislative Council challenge as the Founder and Lead Candidate for The Small Business Party. “The party is founded off the back of years of poor Government planning, destructive infrastructure projects, and an overall lack of consultation or transparency,” Vithoulkas said. 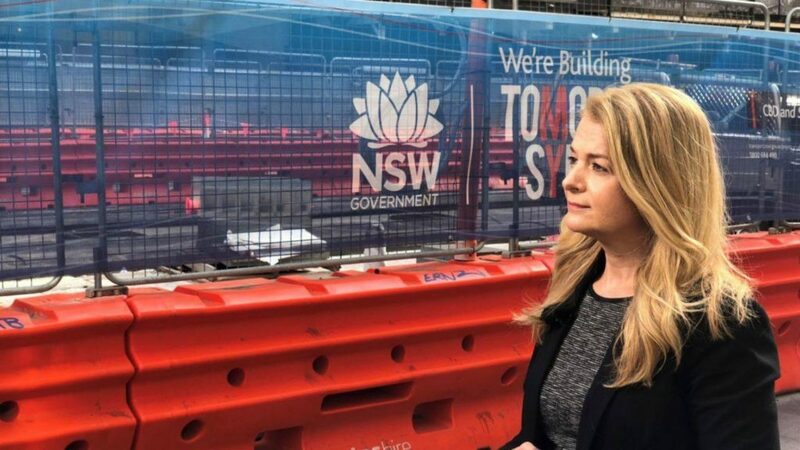 “When light rail construction came to the Sydney CBD it immediately impacted businesses and residents along its intended route,” she added looking back onto her personal predicament as a small business owner. Having been voted one of Australia’s top nine female entrepreneurs back in 2017 while still managing ‘Vivo’, her popular cafe on the corner of King and George streets in Sydney such a government decision had her and her staff struggle. Last August Vithoulkas was forced to close her cafe after 17 years of success stories, and she was not the only one. From the beginning of the infrastructure works and for the nearly two years that they lasted, several small businesses lost their livability. “Behind every small business is a family, and all those families make a community. We believe our communities are worth protecting and our businesses worth saving. When small business thrives we all thrive. So let’s Save Small Business together,” she said. The party which will go to state elections with a number of lower house candidates and a full upper house ticket, later issued an announcement outlining the key issues they are advocating on: Tolls, and Out Of School Hours Care (OOSH). “This process made Angela recognise that Government’s do not care about small businesses or residents. They have one tracked minds in most departments and don’t have any real accountability to the people. The Small Business Party was borne of this need – to have a genuine representative in the upper house, a voice of reason on legislation and decision making to ensure that no-one pays an unfair price for progress. The Small Business Party does not support the expansion of toll roads across Sydney and will work to STOP both the proposed Northern Beaches Link and the Western Harbour Tunnel. The Small Business Party will fight for a 100% REBATE on ALL tolls across Sydney for all apprentices and pensioners, removing a massive financial burden at such a difficult time for some of our most vulnerable people. “If elected at the 2019 March State Election The Small Business Party pledges FREE Out of School Hours care for OOSH, for ALL families with working parents across NSW. Families matter and being able to support our homes and children is the most important thing!,” the announcement concluded. The Small Business Party candidate for the seat of Sydney is young Greek Australian Fiona Douskou.